Cargo Creative has helped to deliver a new website for one of the region’s leading law firms. The Newcastle-based web design agency worked with Ward Hadaway to overhaul the UK Top 100 firm’s online presence to further improve its services to clients and deliver a comprehensive web service across a range of platforms. Ward Hadaway head of marketing, James Sykes, said that the new site – at www.wardhadaway.com – enables the firm to communicate its wide range of legal services in a more approachable and easy to access way. 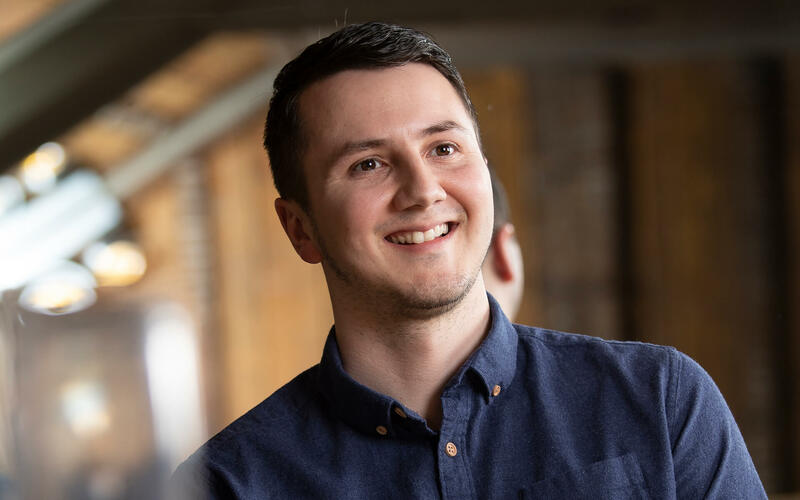 James said: “We wanted to ensure that visitors to the site can get to the advice and information they need quickly and easily, whatever device they are using, so it was vital that our new web presence worked well across mobile and tablet forms, as well as on traditional PCs. “We were also keen to ensure that the site presented a professional yet approachable image of the firm to visitors and the work which Cargo have done in developing the site has ensured that both those important objectives have been achieved. Cargo director, Paul Hart, said: “It has been a refreshing and enjoyable experience to work with an organisation of Ward Hadaway’s scale and to tackle the challenges which they brought to the project. The new site has a host of content designed for Ward Hadaway’s varied client base, which stretches across businesses, public sector organisations and individuals and is served via offices in Newcastle, Leeds and Manchester. The breadth of legal services which Ward Hadaway offers meant that one of Cargo’s major challenges was to present a raft of information for a wide range of audiences whilst ensuring users can find what they are looking for quickly and easily. James Sykes explained: “Before developing the new site, we consulted widely with clients on what they wanted from our online offering and it was clear that whilst they wanted plenty of information about the firm and the lawyers who advise them, that needed to be presented in a user-friendly way and had to be easy to access. “Cargo were particularly good in taking on that challenge and in developing a site which is content-rich but is still straightforward to get around. “Throughout the process, Cargo were calm and measured and really worked with us as part of a single team to get the project completed. “They anticipated any potential issues every step of the way and importantly, they never shied away from offering their opinion and giving us the benefit of their experience. To view our Ward Hadaway case study click here. Read the original article on bdaily here.